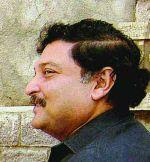 What can we learn from the india hole in the wall experiment, conducted by Sugata Mitra? What basic computer literacy did they learn? Therefore if we can provide computer access to these kids then to teach them these basic skills is a waste of teacher time and money. They can do it themselves! Children will learn the computer basics in this way. But not adults. It's about levering the children themselves. Children are extraordinary - we don't give children enough credit for what they can do. I mean, we all know when your cell phone breaks you give it to a 12 year old, when you don't know how to use your laptop you ask your kid. We all know that! And yet we sort of think that they have to, after the age of 6, stop learning by doing and learn by being told. And, in the best of situations, a child in the developing world is in a classroom 2 1/2 hours a day, five days a week, which averages a lot less than 2 hours a day over the week. So, even if you make that experience better, you're only dealing with a small part of the problem. So what we did, we said to ourselves: "How can we actually leverage the child for a lot bigger part of the day, and do something particularly for the poor children in remote parts of the developing world?" 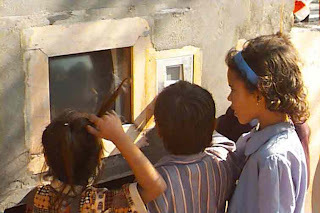 And we set to do what we call the "$100 Laptop"
- Negroponte: "levering the children"
Aren't there several significant differences between hole-in-the-wall (HITW) and OLPC? OLPC - program is purchased by the government and distributed through the school system. Children use the laptops in class. HITW - requires a small number of computers. OS is irrelevant. OLPC - requires a lot of laptops running Sugar interface. from the point of view of the government, buying a few OLPC machines and using them like HITW might be a good way to go. HITW was developed in India, by Indians for Indians. OLPC was developed in America, by MIT for developing nations. "to think as no human brain has ever thought"